Understanding how a copier can benefit your business will go a long ways toward making your purchase decision an easy one. For any business, there are two ways to make copies, from an in-house copier or by traveling to a local copy center. 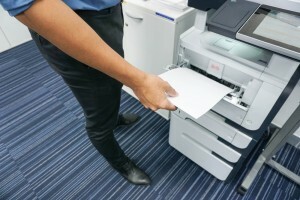 While the latter may sometimes be necessary for startups and smaller businesses in general, having a copier in your office will keep costs down and can provide you with a myriad of notable benefits. For most businesses, whether large or small, the need for a copier machine oftentimes rests in sending duplicate paperwork to prospective and current clients as well as crafting and making duplicates of marketing materials that you might want to use in your next marketing campaign. For any of these tasks, speed is essential to its overall success. Depending on the speed of clerks at the local copy center can be a risky move and may lead to delays that only serve to frustrate your clients and cause a situation where you lose valuable business. Making copies in-house is a much quicker solution. A copy center is basically the middle man between your business and the company that leases the copier. By directly leasing a copier for your business from one of these companies, you’re able to forego the usage of a middleman and can save money on each copy. Copy centers are known to markup the overall costs of each copy you make in order to pay for leasing the copier machine in the first place. 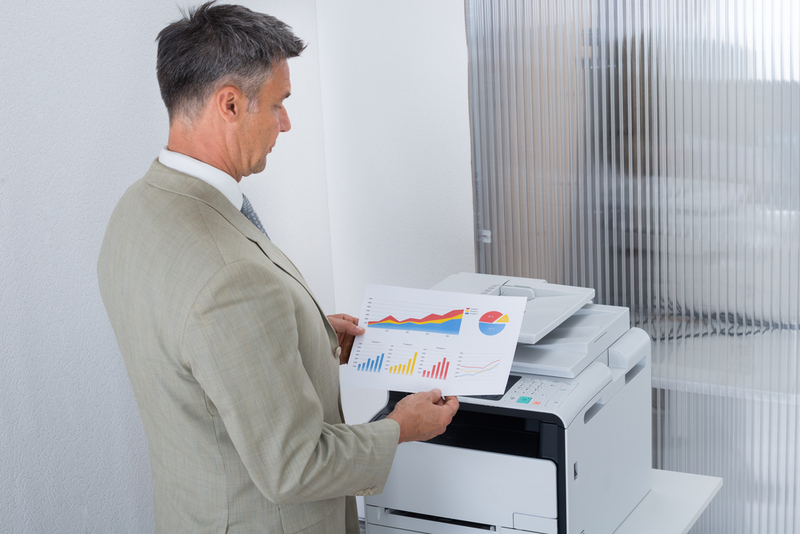 Along with an increase in speed, your business is also provided with better efficiency when using an in-house copier. By placing your copier in a centralized location within your business, each department can make use of it at the same time. With a copy center, individual departments typically send copy requests off to the center separately. This saves each department time that could otherwise be spent focusing on the actual job tasks and duties that need to be performed. If your copy machine ever breaks down, all you need to do is call a copy machine service to fix any issues you have. Understanding the many benefits derived from owning a printer for your office will allow you to make an informed purchase decision. No matter how large or small your business is, it can benefit greatly from having an in-office industrial printer. These printers will provide you with the means of easily printing letters, meeting notes, cover sheets, and all kinds of paperwork. You can also print any advertisements you’re thinking of using for an ad campaign. This can be essential to the continued success of any business. The installation of an industrial printer in your office offers a wide array of financial benefits. For one, you won’t have to outsource your printing needs to another company, which would cost a sizable amount of money. This also saves you from the necessity of waiting for your shipments to arrive. Most printing companies also require a minimum amount of printouts. By using an in-house printer for the job, you can bypass this requirement and possibly save your business some money. These types of printers also allow a better and more efficient workflow, which can make all the difference in the world with a businesses’ yearly profits. These printers generally have very little setup time and can complete tasks in a relatively short period of time. Maintenance requirements are also low with modern printers, so you won’t need to spend extra to keep the machine in tip-top shape. For some modern printers, smartphone apps are available that allow you to remotely monitor the progress of a printing project. One of the most advantageous aspects of using an in-house printer for your printing needs is that it allows for large volume printing where you can be assured of its high quality. When outsourcing the work to a printing company, you can’t be confident that they are using a premium printer. This increases the chances of receiving prints that are very low in quality. You also have complete control over any mid-production adjustments that need to be made. If your printer ever breaks down, all you need to do is request print services in Las Vegas. Most offices rely on copy machines as one of the tools that keep their business running smoothly. If your copy machine breaks, follow these tips to get it back to working condition. When your copier stops working, it can feel like the whole office has come to a screeching halt. Most offices rely on the copier for a myriad of business tasks. If your office’s copy machine has stopped working, don’t panic. 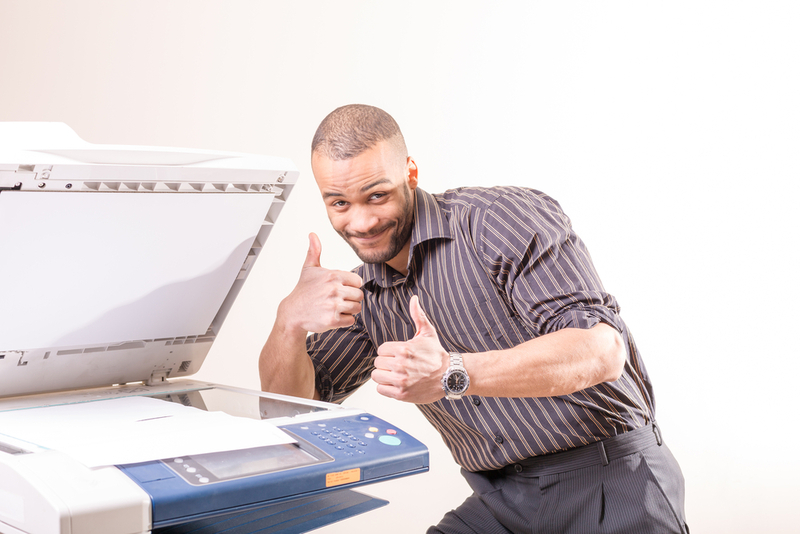 Instead, follow these tips on how to deal with a malfunctioning copier. A lot of copier issues have relatively easy fixes. For example, if the digital screen on your copier shows no signs of any issues but the machine is refusing to print, check for a paper jam. This can often be the culprit of issues with copy machines. If there’s no paper stuck in the machine but the digital screen is malfunctioning, try unplugging the machine and then plug it back in again. If you’ve checked for a paper jam, rebooted the machine and the copier still isn’t working, then it might be time to call in the professionals. A technician specializing in copier repair in Las Vegas can usually diagnose and fix the problem. Most technicians can have your machine in working order in a relatively short period of time. Just because a copier isn’t working doesn’t mean that it can’t be fixed. While many offices prematurely replace broken copiers, most problems can usually be fixed by professionals. Thoroughly inspect the machine and call in a technician before you rush to run out and purchase a new device. You wouldn’t want to waste money when the problem turned out to be something that could be fixed simply and affordably. Every business owner wants his or her company to work at maximum efficiency. If your team isn’t as productive as they could be, then follow these tips. As a business owner, you might sometimes feel as if your staff isn’t as productive as they could be, especially if you’re not hitting your revenue goals. Unfortunately, inspiring your staff to be more productive isn’t as simple as snapping your fingers. Instead, it takes the right motivational techniques and smart business tactics to increase office productivity. Here’s how to have a more productive office. No one has ever become a better worker because their boss screamed at them and berated them in front of the entire office. In fact, people with bosses like this tend to make a game out of getting as little done as possible in an effort to spite their boss. If you want to inspire your team to be more productive, focus on being positive instead of negative. Create incentives for employees who do well. Give pep talks instead of lectures. If productivity is down, it might be because your employees simply have too big of workloads. Sometimes you can increase productivity by taking some tasks off the table. For example, if your employees are responsible for printing out advertising materials on top of everything else, you could outsource the work by using managed print services in Las Vegas so that your employee can focus on more pressing tasks. Remember, employees do their best work when they feel inspired, motivated and appreciated. Never give your employees more than they can handle and strive to create a positive work environment. If you do that, you should see an increase in overall productivity. When it comes to getting a business recognized in the community, trade shows are worth every minute of attending. However, there are things you can do that can promote the business even more than just having an open booth. Attending a trade show or a business expo is a great way to get the business recognized. Depending on the number of attendees, it’s one of the few venues where you can literally interact with thousands of people personally throughout a single weekend. Given the size of Las Vegas, this isn’t far from being accurate. So, what can you do to get the most out of setting up a booth for your organization? 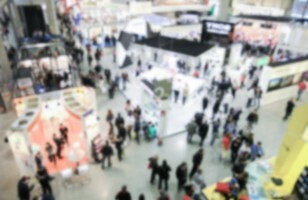 One of the most common elements of any trade show is that of the printed handout. A properly constructed pamphlet can be a great tool to offer additional information to your visitors. Luckily, print services in Las Vegas can help you get as many as you need before arriving at the venue. If you want to make sure these print-outs remain in a pocket and not tossed in the parking lot, include valuable information or tips about your products or services that people might be interested in. The more valuable a visitor views the content, the more likely he or she will hold onto the pamphlet. In order to engage those who walk by, you need a booth that is flashy but not gaudy. In needs to be designed in a way that can attract the eyes of those attending the Las Vegas trade show. proudly present the company logo and include elements that make the business what it is. Offering a hands-on experience can easily make your company memorable among thousands. For instance, a software developer may offer a platform that visitors can test out for themselves. Perhaps a solar panel installer could show a model of the panel installations. All it takes is a bit of imagination and a method that makes the business entertaining and engaging. Booths manned by people who are too shy often get ignored. Your spokesperson needs to be high-energy, outgoing and personable. The purpose of the trade show is to engage visitors and get the name of the company out there to the public. Shyness isn’t going to deliver the same experience as someone who is energetic and talking to everyone within ear-shot.